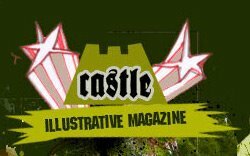 "Castlemagazine is a pdf online mag with monthly issues. It consists of the work of free Illustrators, Artists or other creative nerds. Every issue comes for free and is full of weird and high quality arty stuff."